I just LOVE glitter! It's gorgeous and adds a nice sparkly touch to projects. Trying to capture its shimmer digitally can be a bit of a challenge. But after playing around with filters and tweaking settings, I think I've got a fairly simple way of making some sparkly, pretty glitter! 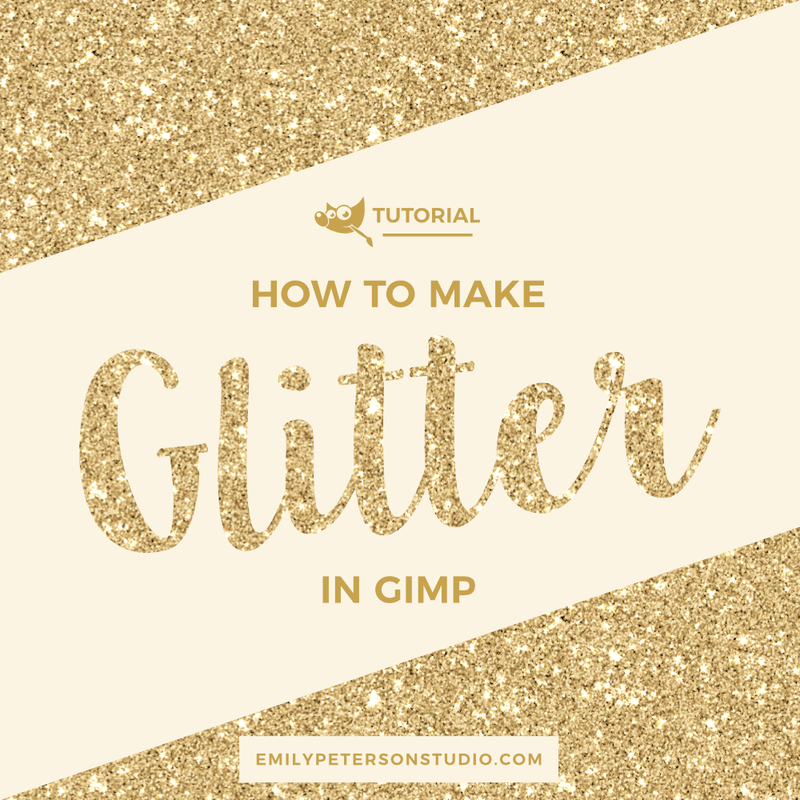 For this tutorial, I will be using GIMP 2.10, which a free, open-source image editor. You can download the latest version HERE. STEP 1 » We'll start by opening a new file. 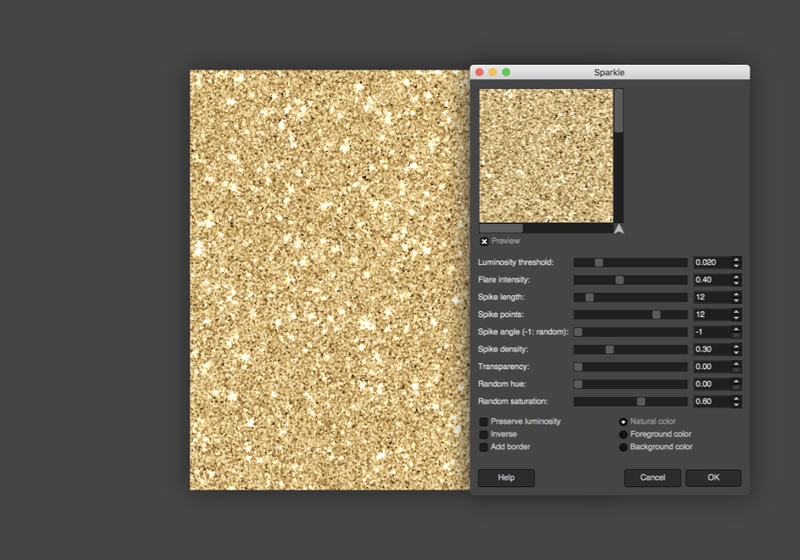 Go to File > New and choose the size you want your glitter texture to be. 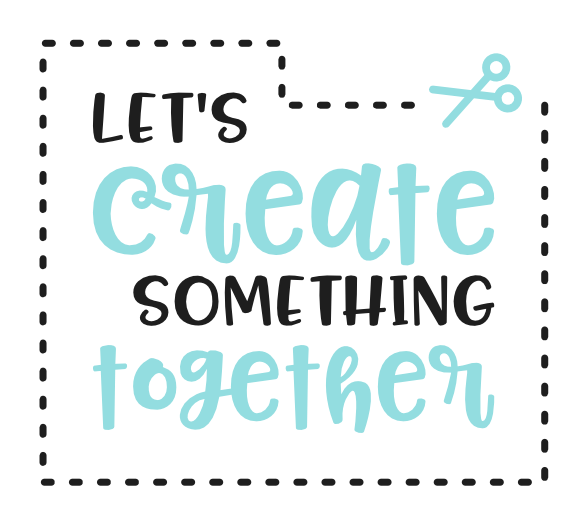 I'll be making mine 600x600 pixels but feel free to make yours bigger or smaller. STEP 2 » Set your foreground color to #a4a4a4 and use either the Bucket Tool or go to Edit > Fill with FG Color to fill your canvas. 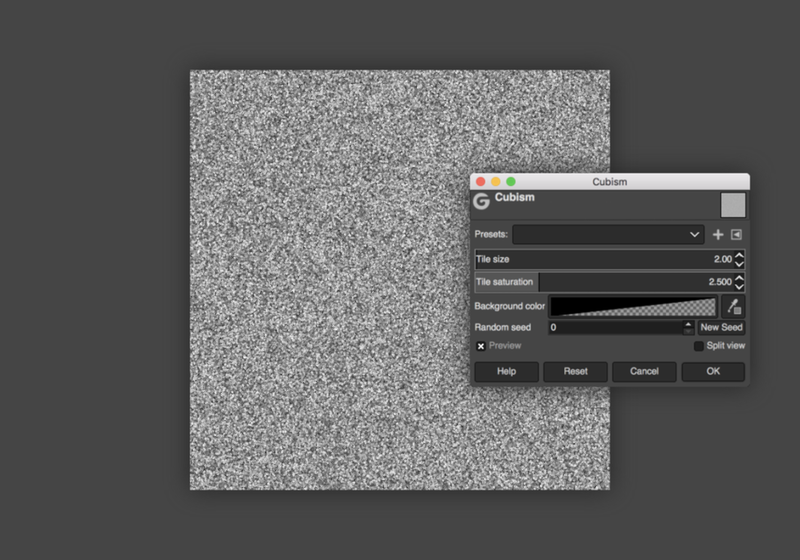 STEP 3 » Next, go to Filters > Noise > RGB Noise. Make sure only Correlated Noise is selected and set Red | Green | Blue to 0.500. 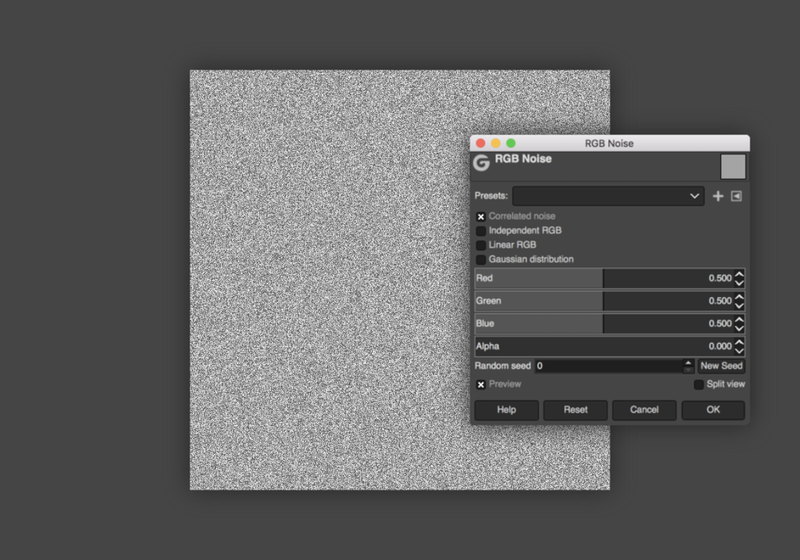 For GIMP 2.8: Set RGB to 0.25. STEP 4 » Now we're going to make the glitter a little bigger by going to Filters > Artistic > Cubism. Set the Tile Size to 2.00 and Tile Saturation to 2.500. For GIMP 2.8: Set Tile Size to 1.3 and Tile Saturation to 1.6. 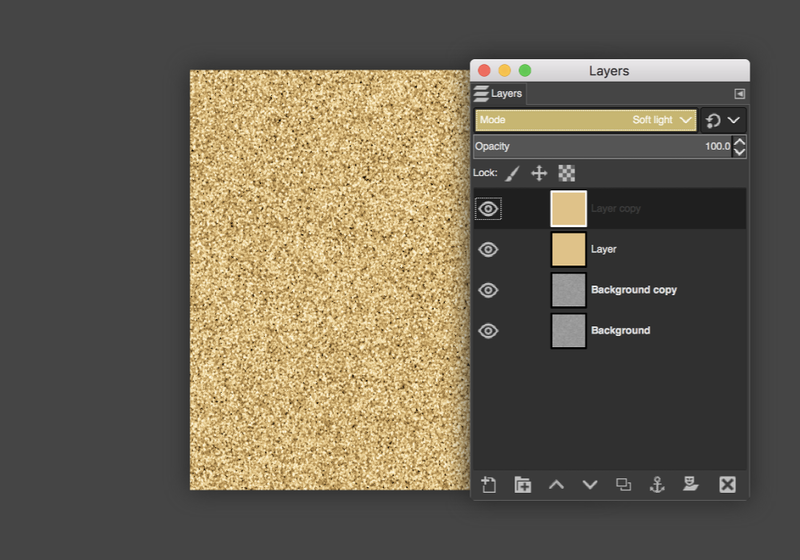 STEP 5 » In your layers panel, right-click the layer and hit Duplicate Layer. 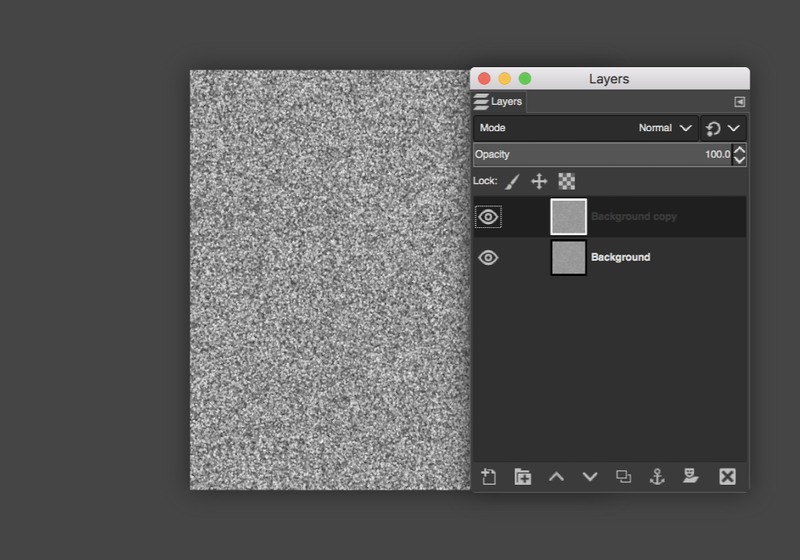 With the duplicated layer selected, go to Layer > Transform > Rotate 90° Clockwise. 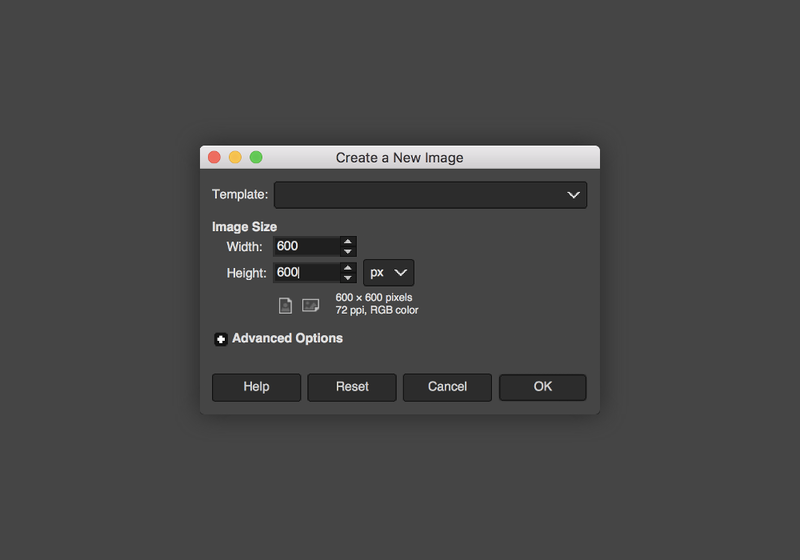 STEP 6 » Change the layer Mode of your rotated layer to Burn and change the Opacity to 50.0. 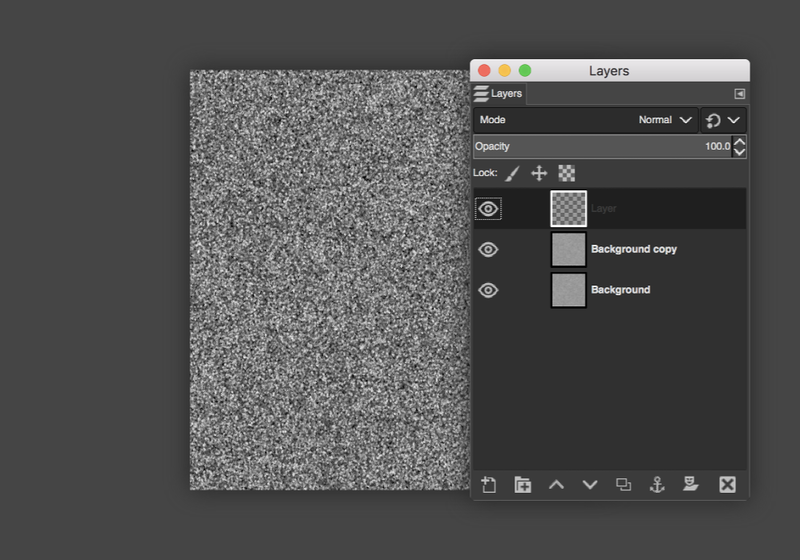 For GIMP 2.8: Set the Opacity to 25.0. 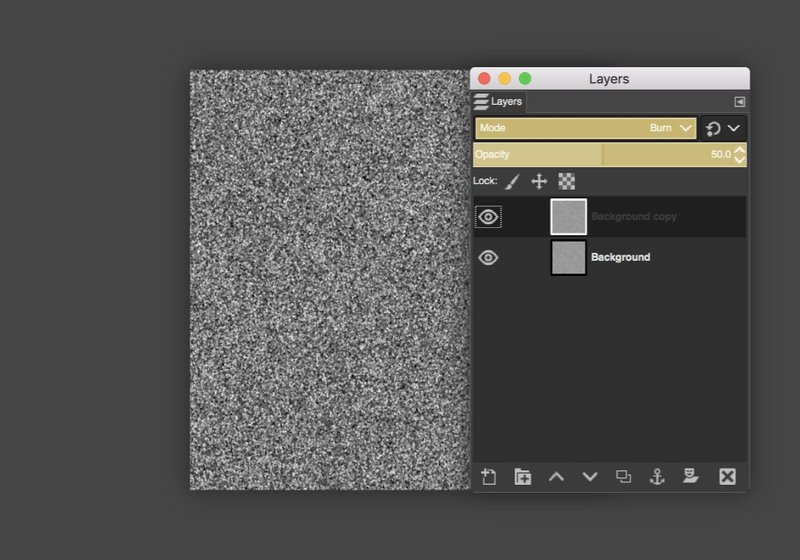 STEP 7 » Add a new layer by going to Layer > New Layer. STEP 8 » Select a foreground color for your glitter–I'll be using #e5c181–and fill your new layer. 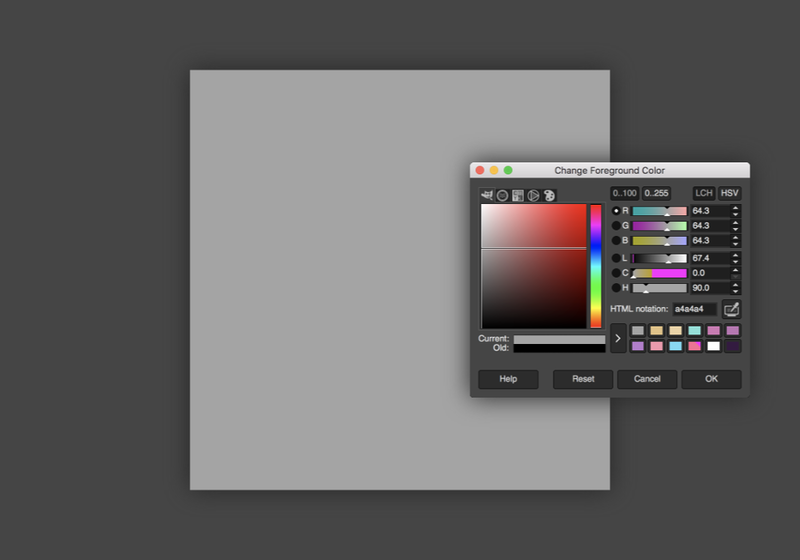 STEP 9 » Change the layer Mode to Soft Light. STEP 10 » With your newly filled layer, right-click and hit Duplicate Layer. STEP 11 » To complete the next step, we'll need to first right-click the top layer and hit Merge Visible Layers. Luminosity threshold: 0.020 | Flare intensity: 0.40 | Spike length: 12 | Spike points: 12 | Spike angle: -1 | Spike density: 0.30 | Transparency: 0.00 | Random hue: 0.00 | Random saturation: 0.60 | Select Natural Color. For GIMP 2.8: Luminosity threshold: 0.020 | Flare intensity: 0.40 | Spike length: 6 | Spike points: 12 | Spike angle: -1 | Spike density: 0.30 | Transparency: 0.00 | Random hue: 0.00 | Random saturation: 0.50 | Select Natural Color. 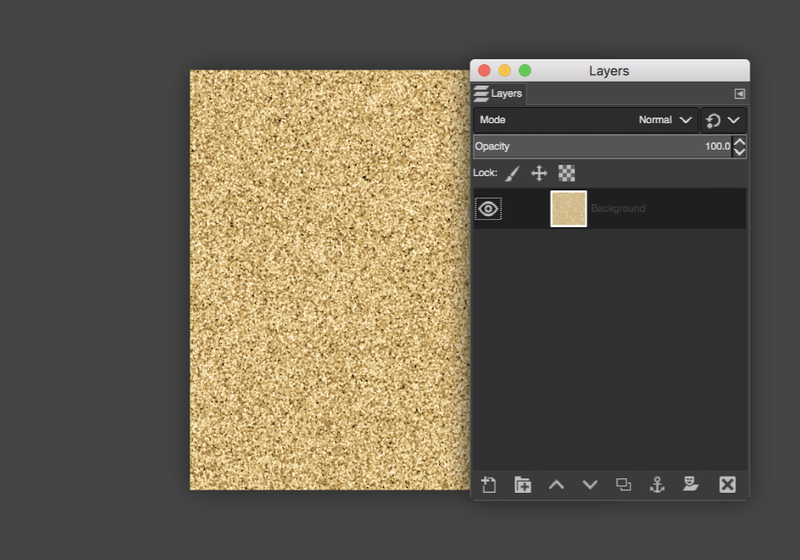 STEP 13 » Finish by right-clicking the top layer and hitting Merge Visible Layers. And there you have it! 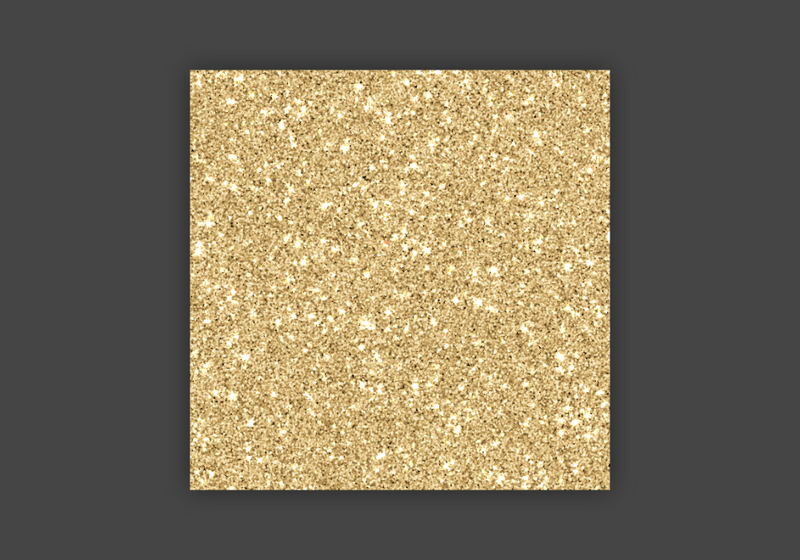 Your very own glitter texture. Pretty, isn't it? Thank you!! 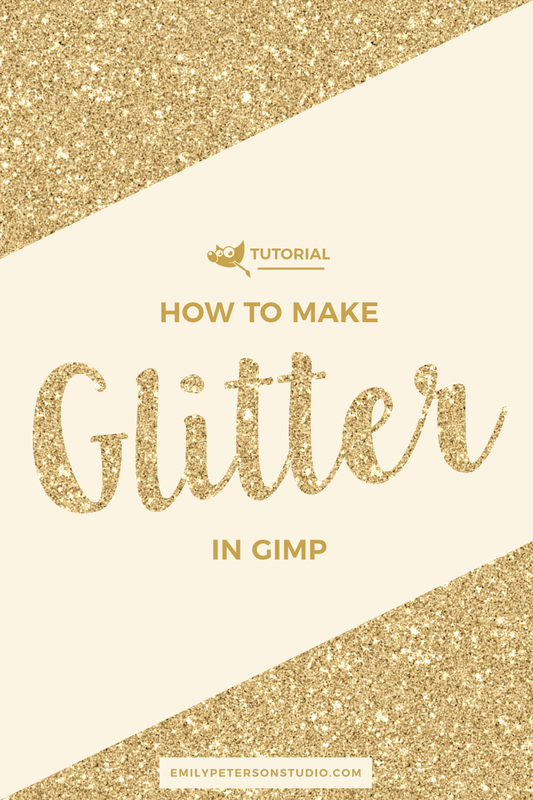 This is the simplest glitter tutorial I have seen for gimp. So excited to tweak it for my projects! !